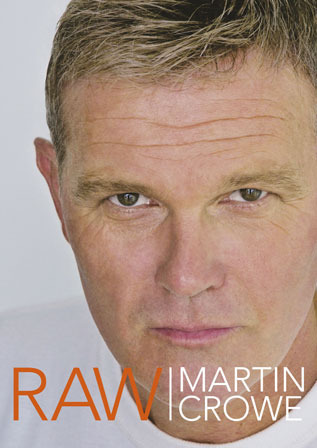 Raw by Martin Crowe is a bit of everything. I enjoyed the first part of the book best as this is about his own personal life, his battle with life really. He was a New Zealand cricketer who was a gifted batsman and as I love to watch cricket I had seen him bat often. However it is interesting to see the effect it had on him of being called upon to play too early for his country and how being thrust into the limelight and being expected to be a man while really only still a boy had a profound bearing on him. Some players were very supportive of him, some were mean and bullies. Sad to read about in top sportsmen. However Martin Crowe I would sense is a fairly sensitive guy and it may have had more impact on him because of the way he was made. I also enjoyed reading his thoughts about New Zealand cricket and all the political background to some of the top jobs, there have been times when New Zealand has done very badly in their games and no wonder when you read about some of the background goings on. I tend to believe Martin Crowe's summing up of much of this as he does give credit to some of the guys I respect and know as the 'good guys', so I felt it was a fair picture, even if its one man's perspective. Martin Crowe is obviously creative and gifted so I guess he may have suffered a bit from the tall poppy syndrome in New Zealand. I found the information of his life after being a player as part of Sky broadcasting team interesting. I am also pleased that he found happiness with his second wife Lorraine. Sadly his battle with cancer has been ongoing, while he had hoped that it was tamed, it has returned. I do not agree entirely with his philosophy around how his sickness was caused, but I know it is one some adhere to. I was not so much interested in the last part of the book where he picked his all time world and New Zealand cricket teams but I guess for him it was satisfying.